NEWPORT – Dan Bottom, fisheries biologist with NOAA’s Northwest Fisheries Science Center, steps up to the bar to talk about salmon at the next Science on Tap event on March 13 at Brewer’s on the Bay. “Celebrating Diversity: Sustaining Pacific Salmon in a Changing World” is Bottom’s theme for the evening, which takes place in the downstairs Board room at Rogue Ale’s South Beach waterfront location. Doors open at 5:30 p.m. and the talk begins at 6; the event is free and open to the public. Appetizers will be served, and additional food and drinks available for purchase from the menu. 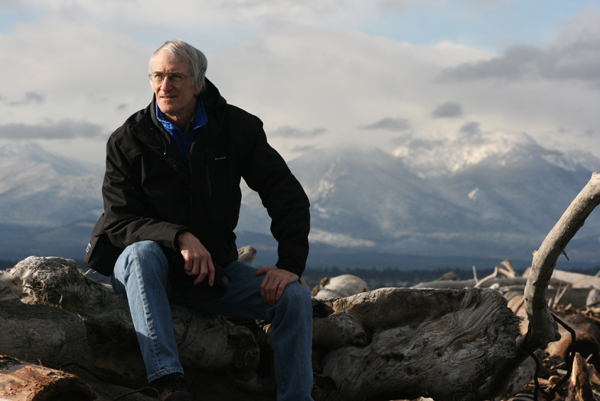 Bottom, editor and contributing author for Oregon Sea Grant’s 2011 book Pathways to Resilience: Sustaining Pacific Salmon in a Changing World, will discuss the importance of salmon diversity and the attributes of resilience. His talk will draw from the book’s 11 peer-reviewed articles, including case studies of salmon and salmon fisheries, and will explore management actions that draw on salmon life history and genetic diversity to maintain salmon populations into the future. Bottom notes, “Salmon exhibit a wide variety of life history traits. These include salmon runs and populations that exhibit differences in migration timing, duration of estuary rearing and size when the salmon enter the ocean.” Healthy, diverse watersheds, says Bottom, provide habitat connections that not only sustain diverse salmon life histories but also provide diverse social and economic opportunities for people. The 392-page, full-color book, with a prologue by Governor John Kitzhaber, will be available at the event for purchase and author signing. It can also be purchased online from Oregon Sea Grant. Science on Tap is a regular program of OSU’s Hatfield Marine Science Center, co-sponsored by Oregon Sea Grant, NOAA, the Pacific States Marine Fisheries Commission, MidCoast Watersheds Council, Native Fish Society, and The Wetlands Conservancy. For more information about the event, call 541-867-0234.